István Fábián started his career in Hungary, where he worked in publishing and designed games for the Commodore Amiga (Abandoned Places 1+2) in the early ’90s. Today Fábián is a Principal Engineer at Sony Computer Entertainment Europe, working in the R&D department. His main job is advising PlayStation™ licensed developers on architecture and technology for platforms like PS Vita, PS3 and PS4. 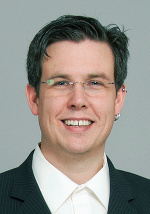 Fábián holds an MSc in Software Engineering from the University of Oxford. His MSc dissertation contains in-depth discussion about the problems associated with digital preservation, specifically the problems associated with the authentic preservation of data stored on floppy disks and copy-protection. Fábián has conceived and written the KryoFlux host software and embedded firmware. 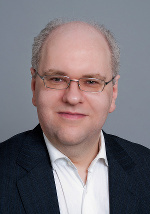 Christian Bartsch started his professional career in the early '90s working for Cachet Software on the popular backup solution X-Copy & Tools for the Commodore Amiga. After several years of teaching New Media and Digital Film at renowned SAE Institute in Cologne, Germany, Bartsch became Head of Acquisitions and Production at Turbine Media Group Germany, where he's worked on and restored many classic films for release on DVD and Blu-ray. He is an avid collector of classic software and is the key account manager at KryoFlux for institutional and corporate customers. To challenge international users, Chris called his Writing-GUI for KryoFlux “Wilde Wutz”, which roughly translates to “wild boar”. Kieron Wilkinson graduated with a BSc (Hons.) in Computer Science at the University of Kent, whose final year thesis specialised in emulation technology. Having grown up with 8 and 16 bit computers, Kieron has always felt very passionately about the cultural significance of the games from the formative years of the games industry. Kieron has written and maintains the GUI for KryoFlux.